Samsung is reportedly in the final negotiation stages with Catcher, a Taiwanese company that manufactures metal cases for devices. A report from Barclays analysts indicates that Samsung is looking for metal case manufacturers to contract for next year. The company in Taiwan is also producing metal cases for the HTC One, and has the infrastructure to supply from 10 to 30 million units. The deal between Samsung and Catcher is not done yet, as the Korean company is still waiting for more data. Another report is indicating that Samsung is setting up its own production line in South Korea where they are planning to test metal structures for future devices. 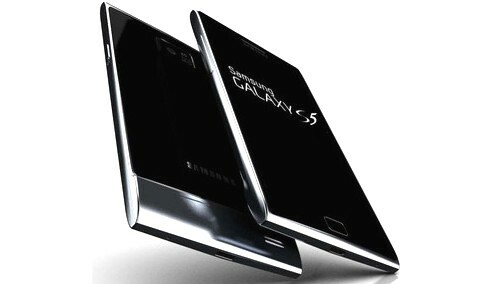 There is no other device more suitable to receive metal casing than the upcoming Galaxy S5. More specifically the next flagship from Samsung, because we have no reason to believe that the next device will still be a Galaxy device. Samsung could try and rebrand their entire line of flagships and they could market this around a totally new design based on metal casings. Other smartphone manufacturers have already went to the next level in smartphone design and build, like the HTC One that is completely metal or the iPhone which has always had a compact structure. Samsung introduced the leather back case with the Galaxy Note 3, but these aren’t really “drop-proof” and leather can deteriorate really fast. There is only one logical solution and that is to start producing metal-based smartphones. Or perhaps use something else, anything but the plastic cases that have been used since the first Galaxy device. Not only that the competition is making fast advances in switching from plastic to metal, but also the public is feeling a bit bored with the same design from Samsung. This adds up to the pressure of making a change. We don’t know for sure that Samsung is placing these orders for metal cases for the Galaxy S5, but knowing that it should be launched in the second quarter of 2014, what other device could get metal casing if not the S5?